This best selling course has been thoroughly revised to meet the needs of today's business and economics students. 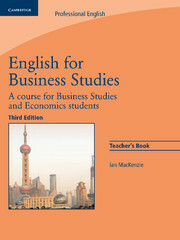 The English for Business Studies Third edition Teacher's Book offers thorough guidance and support for teachers using the course. It also includes four assessment tests to help teachers keep track of students' progress. 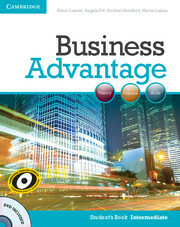 The English for Business Studies Student's Book and the Audio CDs are available separately.